Into The Darkness captures the cruel truth behind our darkest secrets which may often cause us to question our faith. 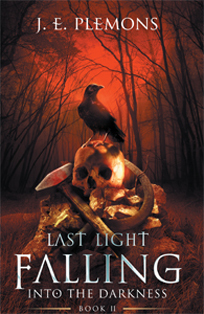 In this graphic second installment of the Last Light Falling series, J.E. Plemons continues the grim story of Arena Power’s fate, testing her faith while she and her brother search for an answer to their survival in a brooding world filled with chaos.